Liberata’s Pendle Contact Centre was a finalist in two categories at the recent North West Contact Centre Awards; Liberata’s Vicky McGurk (pictured third from left) won Contact Centre Manager of the Year and the Liberata team and service was highly commended in the Contact Centre of the Year category for the third time in four years. 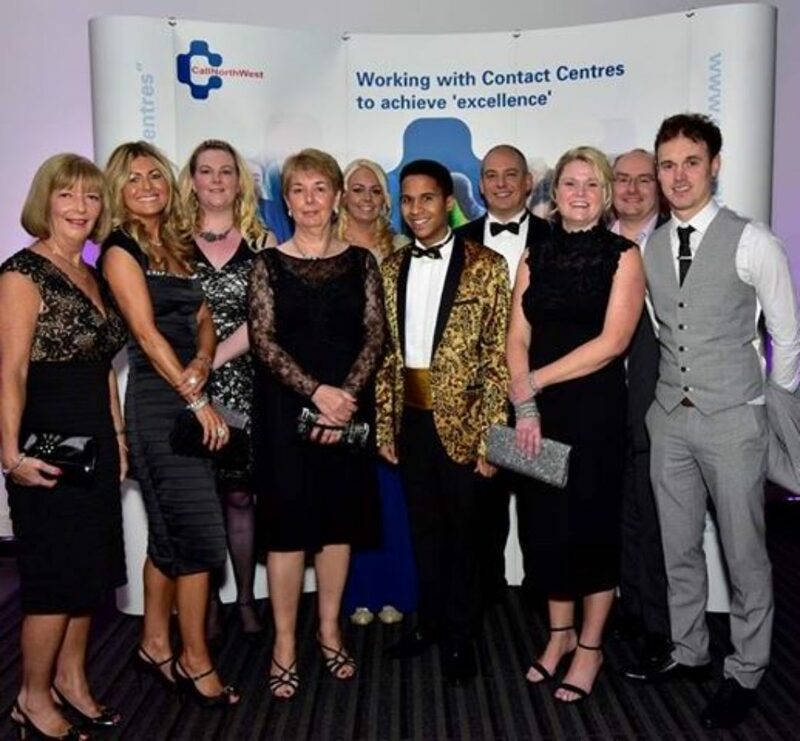 The North West Contact Centre Awards recognise and celebrate the excellence of individuals and organisations within 700+ call and contact centres in the region. Ms McGurk, as recipient of the Contact Centre Manager of the Year award, was delighted to be recognised ahead of stiff competition from entrants across the North West within the customer service sector. She joined Liberata in April 2014, managing a team of 36 staff across four sites on behalf of Pendle Borough Council. The award is testament to the great work she has done in developing the team and delivering a high level of customer service to the citizens of Pendle. The Pendle Contact Centre, provides the primary customer interface for each service provided by the Council. It is responsible for managing the customer relationships with over 80,000 citizens in Pendle and is pivotal to keeping them informed about key public services.